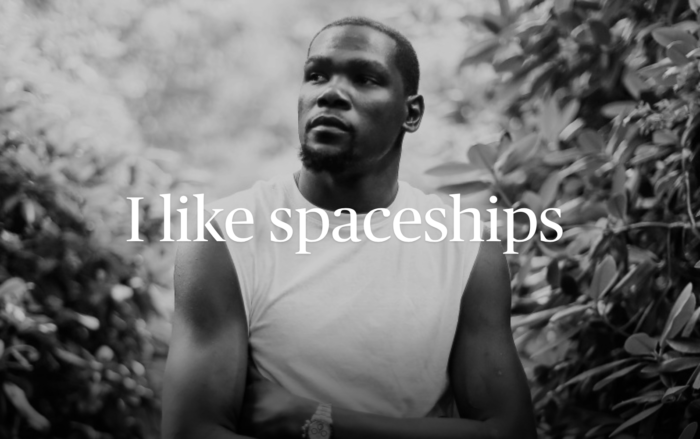 Kevin Durant burned all his tears and then said goodbye to earth for a spaceship made of basketball talents. I hope this spaceship destroys every single human on a basketball court this year with an utter demolition of human desire in the form of soft, quiet emotional devastation. The people who die because Kevin Durant is no longer in Oklahoma deserve to die softly and their gravestones should read, “Hi death in softness from basketball talents thank you shoe money.” Because Kevin Durant chose spaceships over earth people might think he is worthless at life, but to be honest I don’t think people understand how nice it is to metaphorically kill people softly inside a sports arena especially if you spent the last eight years sweating in Oklahoma while all your favorite pet animals were dying right in front of your eyes besides the Oklahoma sports viewers shouldn’t get too sad because they did tears to Seattle Supersonics long before Kevin did tears to them. Long live tears and soft death and basketball talents.